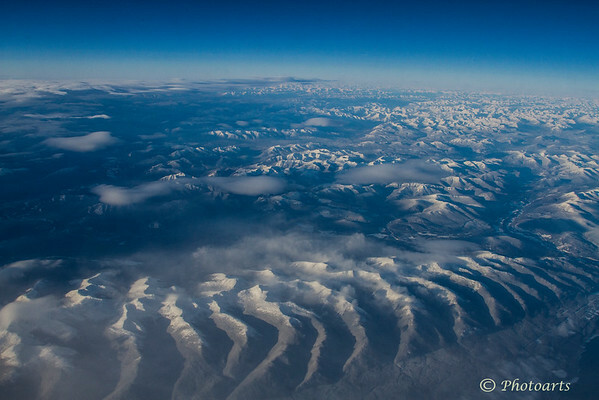 Unique formation of these mountains made for a wonderful aerial photography opportunity over Canada's Northwest Territories. That's a lot of mountains. Great perspective. Amazing shot and landscape. What a bird's eye view !